Today’s insert is about reward as motivation. We all struggle to keep up the momentum. So if you have a goal you are struggling with – why not give yourself a reward or treat to look forward to and write it into your tracker so you can keep you eye on the prize. Insert Downloads & Printables will only be available with a Prompts for Filofaxers Subscription. You can get yours for FREE by becoming a mailing list subscriber – don’t miss out – subscribe now. Printable is accessed through the subscription. This month it is all about the Olympics in Rio. There is something inspirational and motivational about watching the Olympics – something that has stayed with us since the 2012 Olympics here in the UK, but which needs a bit of an encouragement every once in a while. The first of this series of inserts is a daily activity tracker (similar to our Habit Tracker). However, you can also use it for regular activities for any intervals or alternatively planning which day of the week you are going to do a particular activity – with this simple insert the choice is yours. No planner would be complete without a lot of lists. A blog planner is no exception. Today we are sharing a personal sized printable for lists of Blog Post Topics and Ideas that you can use in your blog planner or your main filofax when you are out and about and inspiration strikes. Today is day two of our Kickstarter Campaign. It is also Valentine’s Day. Whether you are exchanging a card and gift with a loved one today or not – you will be happy to add our present shopping list notebook to your collection of notebooks. The Present List Notebook is the March Edition of our Subs Club. If you back our campaign and select the March Subscription or any of the multiple month options you will receive this notebook. It is designed to keep track of the gifts given to (and received from) your loved ones over the next five years. It also has room to track key information such as likes dislikes and favourite colours. You can use it either with close family and friends which will make a nice record book or alternatively use it for more distant relatives so you avoid giving them the same present three years running (or both). Help make our subscription club a reality – and get your own copy of the present list notebook (or print your own – this is a very handy set of inserts to have in your personal planner). Our December Kickstarter – the Goals Planner 2016 was successfully funded. Thank you to everyone who supported (and shared our campaign). All the orders have now been shipped and have started to arrive with our backers. We are now able to get excited about our other upcoming projects. We will soon be launching our… Organisational Notebooks Subs Club by Printed Portal which will be going live later this month. A pocket sized notebook delivered direct to your door (or email account) each month. Any great notebook needs to be functional and much like our digital tools they should make our lives easier and more organised. That is what we believe and this is why we create Organisational Notebooks. The collection of notebooks making up the Subs Club notebooks are functional pocket notebooks designed to help you achieve a specific goal or purpose. These are coming soon on Kickstarter. Sign up to our mailing list to stay in the loop and get notified when the campaign goes live. We have also decided to join in the April A to Z Challenge 2016. This will be our third time joining in with the challenge. 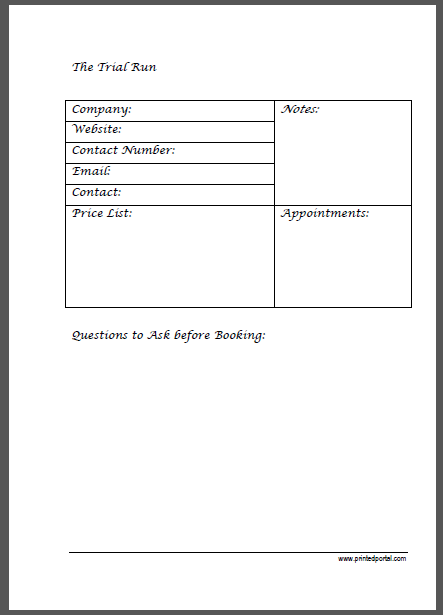 Once again we hope to design a set of filofax / planner inserts for our reader to download, print and use. It would be great to have a theme again – we currently have our thinking caps on but please let us know if there is anything you would like to see or like for us to try and include? Your photographer is one of the elements of your wedding that is worth spending some money one. Yes – you can got DIY with disposable cameras and selfie sticks. However, what most people love is a proper collection of memories – a collection of wedding photographs. 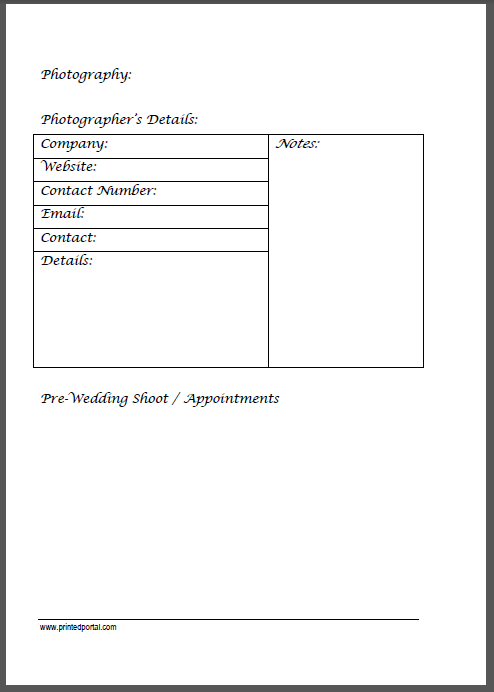 Our inserts cover your photographer’s details, your prewedding shoot and space to plan you list of wedding shots that you want. 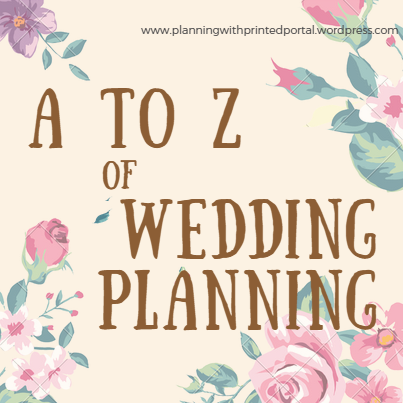 The A to Z of Wedding Planning Printable/Insert Series will be available throughout the April A to Z Challenge only. Don’t forget the rest of our Insert Downloads & Printables are available with a Prompts for Filofaxers Subscription. You can get yours for FREE by becoming a mailing list subscriber – don’t miss out – subscribe now. If you are having a Religious or Church Wedding you are likely to have a set Order of Service for the Ceremony. 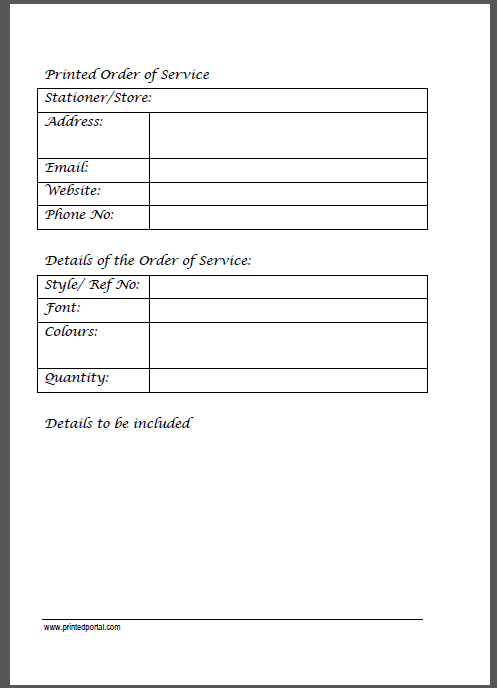 There are a number of things that you have the opportunity to personalise including the hymns the readings, the vows and of course the physical printed orders of service. Not every bride changes her name after the wedding. But if you are here is a handy checklist to get you started. If you are changing your name after you get married the key documents to update are your ID Documents and your bank accounts. Once this is done, the rest should be easy. 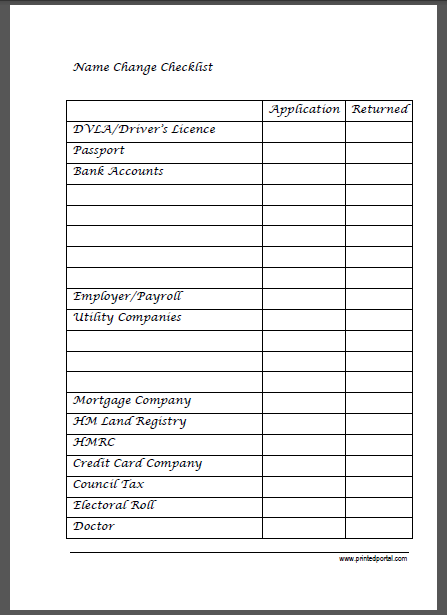 Different places have different requirements so it is useful to check these out and keep track of what you have changed. It is also useful to have multiple certified copies of your marriage certificate otherwise you will have to wait weeks between applications rather than sending them all in one go. Make-up, Hair & Nails. A bride’s beauty preparation is another section of wedding planning which shouldn’t be taken lightly. Organising your hair and makeup can take some careful consideration and some detailed planning for the actual wedding day – to help you accomodate everyone.